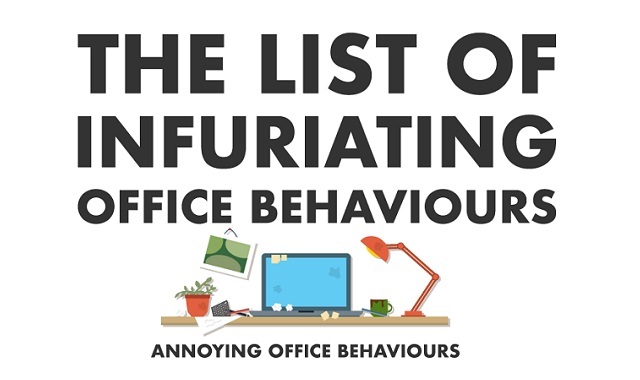 The List of Infuriating Office Behaviours #infographic ~ Visualistan '+g+"
Cramped office spaces, the stress of making deadlines and clueless clients, all mixed together with a group of contrasting personalities can create an incredibly uncomfortable work environment. There are millions of offices and tens of millions of people working in them, so you're likely to encounter a few annoying office habits. Why not check out a selection of the most common and most irritating habits known to anyone who’s worked in an office?